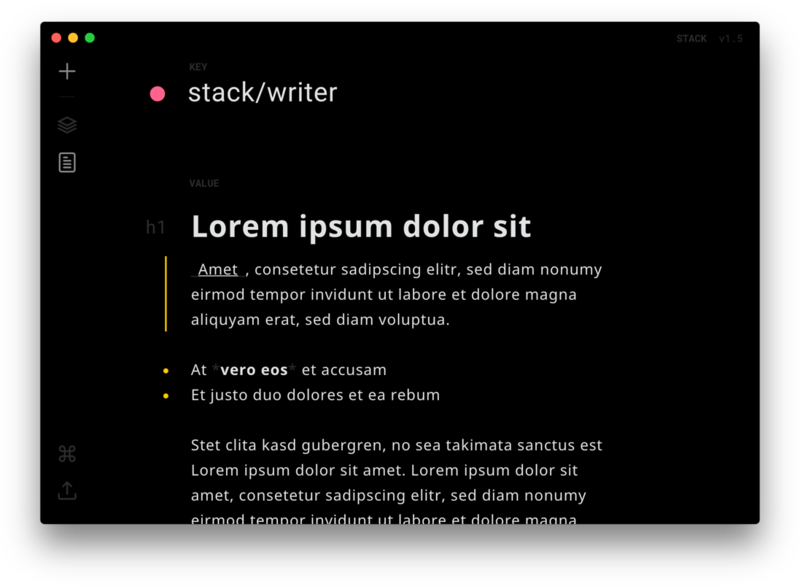 Stack is a smart and beautiful key-value based markdown writer app to collect data you work with each day. 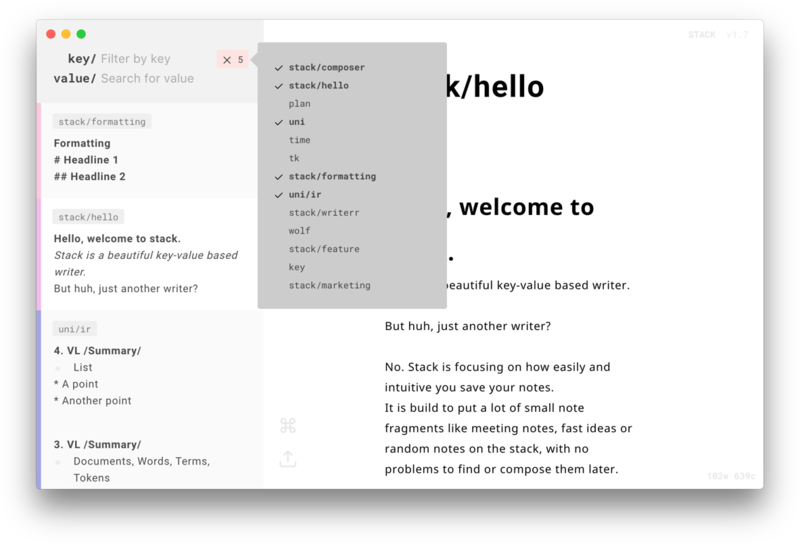 It's build to save a lot of little fragments like notes, images, todos, complex markdown drafts and other files categorized by a key to easily find it later. 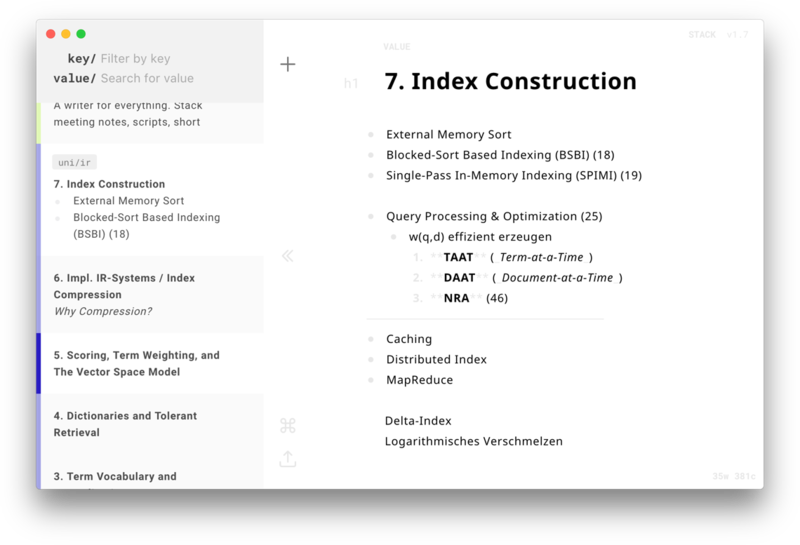 Find and compose your notes intuitively and easily. Copyright © Christoph Biering. All rights reserved.